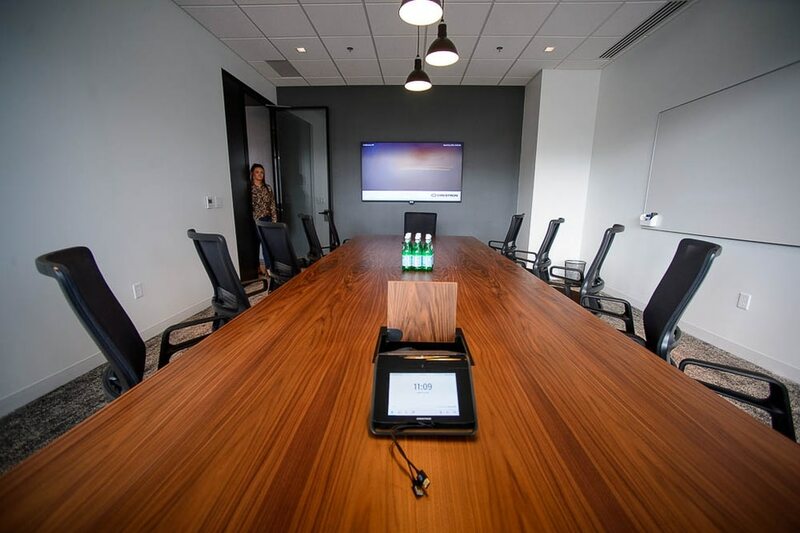 (Trent Nelson | The Salt Lake Tribune) A conference room at CommonGrounds Workplace in Salt Lake City on Friday March 22, 2019. Downtown Salt Lake City's historic Orpheum Theatre has seen a multi-million dollar renovation and will now house Utah's first CommonGrounds Workplace, a San Diego-based provider of coworking spaces. 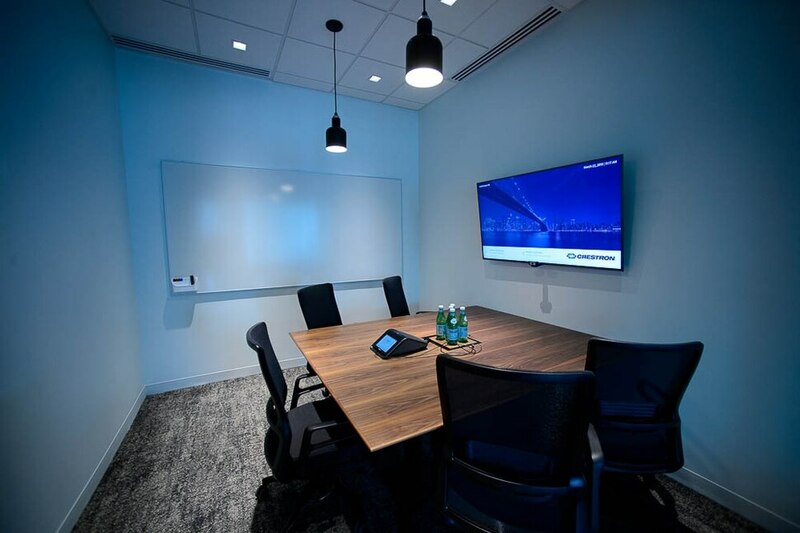 (Trent Nelson | The Salt Lake Tribune) A conference room at CommonGrounds Workplace in Salt Lake City on Friday March 22, 2019. Downtown Salt Lake City's historic Orpheum Theatre has seen a multi-million dollar renovation and will now house Utah's first CommonGrounds Workplace, a San Diego-based provider of coworking spaces. (Trent Nelson | The Salt Lake Tribune) A phone room at CommonGrounds Workplace in Salt Lake City on Friday March 22, 2019. Downtown Salt Lake City's historic Orpheum Theatre has seen a multi-million dollar renovation and will now house Utah's first CommonGrounds Workplace, a San Diego-based provider of coworking spaces. (Trent Nelson | The Salt Lake Tribune) Tina Troast at CommonGrounds Workplace in Salt Lake City on Friday March 22, 2019. Downtown Salt Lake City's historic Orpheum Theatre has seen a multi-million dollar renovation and will now house Utah's first CommonGrounds Workplace, a San Diego-based provider of coworking spaces. (Trent Nelson | The Salt Lake Tribune) CommonGrounds Workplace in Salt Lake City on Friday March 22, 2019. Downtown Salt Lake City's historic Orpheum Theatre has seen a multi-million dollar renovation and will now house Utah's first CommonGrounds Workplace, a San Diego-based provider of coworking spaces. (Trent Nelson | The Salt Lake Tribune) CommonGrounds Workplace in Salt Lake City on Friday March 22, 2019. Downtown Salt Lake City's historic Orpheum Theatre has seen a multi-million dollar renovation and will now house Utah's first CommonGrounds Workplace, a San Diego-based provider of coworking spaces. (Trent Nelson | The Salt Lake Tribune) Tiffany Hughey at CommonGrounds Workplace in Salt Lake City on Friday March 22, 2019. Downtown Salt Lake City's historic Orpheum Theatre has seen a multi-million dollar renovation and will now house Utah's first CommonGrounds Workplace, a San Diego-based provider of coworking spaces. (Trent Nelson | The Salt Lake Tribune) Common space at CommonGrounds Workplace in Salt Lake City on Friday March 22, 2019. Downtown Salt Lake City's historic Orpheum Theatre has seen a multi-million dollar renovation and will now house Utah's first CommonGrounds Workplace, a San Diego-based provider of coworking spaces. (Trent Nelson | The Salt Lake Tribune) Tiffany Hughey at CommonGrounds Workplace in Salt Lake City on Friday March 22, 2019. Downtown Salt Lake City's historic Orpheum Theatre has seen a multi-million dollar renovation and will now house Utah's first CommonGrounds Workplace, a San Diego-based provider of coworking spaces. (Trent Nelson | The Salt Lake Tribune) Office space at CommonGrounds Workplace in Salt Lake City on Friday March 22, 2019. Downtown Salt Lake City's historic Orpheum Theatre has seen a multi-million dollar renovation and will now house Utah's first CommonGrounds Workplace, a San Diego-based provider of coworking spaces. (Trent Nelson | The Salt Lake Tribune) Office space at CommonGrounds Workplace in Salt Lake City on Friday March 22, 2019. 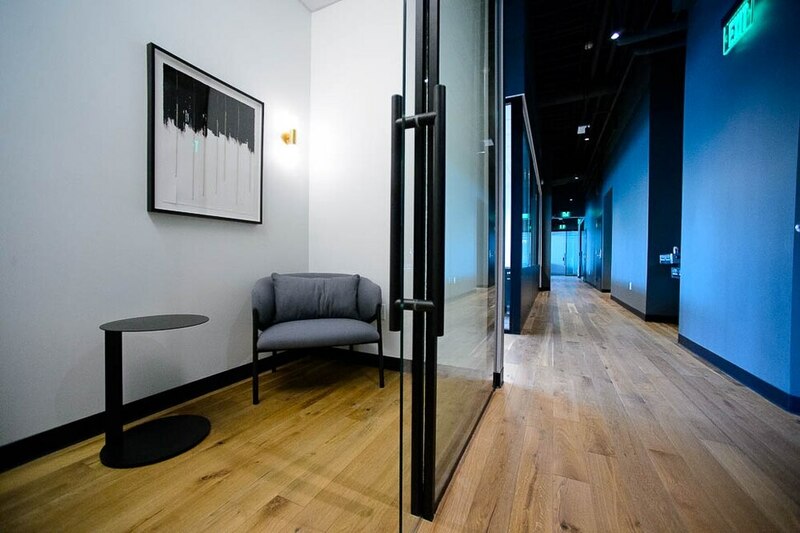 Downtown Salt Lake City's historic Orpheum Theatre has seen a multi-million dollar renovation and will now house Utah's first CommonGrounds Workplace, a San Diego-based provider of coworking spaces. (Trent Nelson | The Salt Lake Tribune) Office space at CommonGrounds Workplace in Salt Lake City on Friday March 22, 2019. Downtown Salt Lake City's historic Orpheum Theatre has seen a multi-million dollar renovation and will now house Utah's first CommonGrounds Workplace, a San Diego-based provider of coworking spaces. The well-known Orpheum Theatre in the heart of downtown Salt Lake City has been restored and reopened as a modern coworking space for Utah’s entrepreneurs and growing businesses. CommonGrounds Workplace, headquartered in San Diego, has reportedly poured millions of dollars into refurbishing the 114-year-old playhouse, located at 132 S. State St. and known for its elegant lobby and distinct 12-foot Venus statue at its crown. A company spokesman said the renovation involved all but gutting the interior of the three-story, 19,792-square-foot building and equipping it with new top-grade facilities, including meeting rooms, communal kitchens, broadband access and other support services for as many as 200 business tenants. But the building’s iconic exterior has been preserved as a key feature for attracting customers considering opening new Utah offices. “Salt Lake City’s vibrant, growing enterprise and entrepreneurial community makes it a natural fit for a CommonGrounds Workplace location,” CEO Jacob Bates, a Utah native, said in a statement. Coworking has emerged as a growing niche in Salt Lake City’s office market, offering startups and expanding businesses a way of offsetting the costs of opening new business presences as they get established. Orpheum’s conversion is also part of a trend of historic buildings in the central core being converted to commercial use as demand and prices for downtown office space rise. Bates told The Salt Lake Tribune the firm was also drawn to occupying the former vaudeville theater for its location in the central business district and its proximity to Salt Lake City’s new downtown cultural district, clustered around Regent Street and the George S. and Dolores Doré Eccles Theater. The Orpheum and its locale are seen as attractions to highly skilled workers, Bates said, helping its business customers recruit and retain talent. CommonGrounds has secured an 84-month lease on the property from its longtime owner, Property Reserve Inc., a real estate arm of The Church of Jesus Christ of Latter-day Saints. The Orpheum Theatre opened on Christmas Day 1905 as an elegantly decorated vaudeville venue, just as that style of blending performance, variety acts and burlesque was rising in national popularity. The theater was designed in a Second Renaissance Revival style by German-born architect Carl Neuhausen, who also had a hand in designing the majestic Cathedral of the Madeleine. It was converted for showing movies shortly after the end of World War I, and, with its columns and grand lobby, was for years considered one of the city’s fanciest movie houses. Church officials bought it in 1972, restored it for stage performances and renamed it Promised Valley Playhouse. It was retrofitted for office use in 2003. The revamped Orpheum Theatre is the first CommonGrounds Workplace to open this year as part of a national expansion funded by a $100 million infusion of capital from investors. The workplace-as-a-service firm has also opened sites in California in Long Beach, San Jose and Carlsbad, along with Denver, and has as many as 35 new locales in the works. CommonGrounds is one of at least a half-dozen coworking companies that have opened sites in downtown Salt Lake City in recent years, including Kiln, Work Hive, Industrious Salt Lake City, Access Salt Lake, Church & State and Impact Hub Salt Lake. Seattle-based WeWork announced at the Silicon Slopes Tech Summit in early February that it would open four Utah coworking locations by year’s end, two at The Gateway in Salt Lake City and two in Lehi. Nathan Lenahan, general manager for WeWork, said in a statement the global company had departed from its model of opening two sites in a new market and scaling from there. WeWork, which has 425 locations across 27 countries, plans to go from zero to roughly 2,700 desks of coworking spaces in Utah over the next eight months, he said. Both Bates and Lenahan predicted that robust demand for coworking space in Utah’s capital would continue, even as more providers enter the market.